Fast and EASY classroom rental from CONTACTPOINTE with all the technology you need at our 750 US and Canada locations. Every detail is ready when you arrive. Complete online request form or call 877-223-5881 for all-inclusive price quote. You will have ONE POINTE of Contact for scheduling, set up, catering, contracting and billing. On-site support and snacks always included. Doing a large training rollout? ContactPointe can assist with venue selection and travel arrangements including hotel room block management, transportation and contract negotiations. Save time and money with our services. Fast and EASY classroom rental from CONTACTPOINTE with all the technology you need at 50 California locations. Every detail is ready when you arrive. Complete online request form or call 877-223-5881 for all-inclusive price quote. You will have ONE POINTE of Contact for scheduling, set up, catering, contracting and billing. On-site support and snacks always included. Doing a large training rollout? ContactPointe can assist with venue selection and travel arrangements including hotel room block management, transportation and contract negotiations. Save time and money with our services. Fast and EASY classroom rental from CONTACTPOINTE with all the technology you need at our 30 Florida locations. Every detail is ready when you arrive. Complete online request form or call 877-223-5881 for all-inclusive price quote. You will have ONE POINTE of Contact for scheduling, set up, catering, contracting and billing. On-site support and snacks always included. Doing a large TRAINING ROLLOUT? ContactPointe can assist with venue selection and travel arrangements including hotel room block management, transportation and contract negotiations. Save time and money with our services. Fast and EASY classroom rental from CONTACTPOINTE with all the technology you need at our 40 Texas locations. Every detail is ready when you arrive. Complete online request form or call 877-223-5881 for all-inclusive price quote. You will have ONE POINTE of Contact for scheduling, set up, catering, contracting and billing. On-site support and snacks always included. Doing a large TRAINING ROLLOUT? ContactPointe can assist with venue selection and travel arrangements including hotel room block management, transportation and contract negotiations. Save time and money with our services. Fast and EASY classroom rental from CONTACTPOINTE with all the technology you need at our 12 Arizona locations. Every detail is ready when you arrive. Complete online request form or call 877-223-5881 for all-inclusive price quote. You will have ONE POINTE of Contact for scheduling, set up, catering, contracting and billing. On-site support and snacks always included. Doing a large training rollout? ContactPointe can assist with venue selection and travel arrangements including hotel room block management, transportation and contract negotiations. Save time and money with our services. Fast and EASY classroom rental from CONTACTPOINTE with all the technology you need at our 22 Colorado locations. Every detail is ready when you arrive. Complete online request form or call 877-223-5881 for all-inclusive price quote. You will have ONE POINTE of Contact for scheduling, set up, catering, contracting and billing. On-site support and snacks always included. Doing a large training rollout? ContactPointe can assist with venue selection and travel arrangements including hotel room block management, transportation and contract negotiations. Save time and money with our services. Fast and EASY classroom rental from CONTACTPOINTE with all the technology you need at our 18 Virginia locations. Every detail is ready when you arrive. Complete online request form or call 877-223-5881 for all-inclusive price quote. You will have ONE POINTE of Contact for scheduling, set up, catering, contracting and billing. On-site support and snacks always included. Doing a large TRAINING ROLLOUT? ContactPointe can assist with venue selection and travel arrangements including hotel room block management, transportation and contract negotiations. Save time and money with our services. Fast and EASY classroom rental with all the technology you need at our 13 Boston area locations. Every detail is ready when you arrive. Complete online request form or call 877-223-5881 for all-inclusive price quote. You will have ONE POINTE of Contact for scheduling, set up, catering, contracting and billing. On-site support and snacks always included. Doing a large TRAINING ROLLOUT? ContactPointe can assist with venue selection and travel arrangements including hotel room block management, transportation and contract negotiations. Save time and money with our services. Fast and EASY classroom rental with all the technology you need at our 22 Illinois locations. Every detail is ready when you arrive. Complete online request form or call 877-223-5881 for all-inclusive price quote. You will have ONE POINTE of Contact for scheduling, set up, catering, contracting and billing. On-site support and snacks always included. Doing a large TRAINING ROLLOUT? ContactPointe can assist with venue selection and travel arrangements including hotel room block management, transportation and contract negotiations. Save time and money with our services. Fast and EASY classroom rental with all the technology you need at our 15 Maryland locations. Every detail is ready when you arrive. Complete online request form or call 877-223-5881 for all-inclusive price quote. You will have ONE POINTE of Contact for scheduling, set up, catering, contracting and billing. On-site support and snacks always included. Doing a large training rollout? ContactPointe can assist with venue selection and travel arrangements including hotel room block management, transportation and contract negotiations. Save time and money with our services. 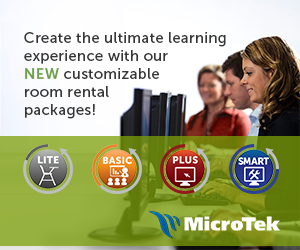 Fast and EASY classroom rental with all the technology you need at our 10 Michigan locations. Every detail is ready when you arrive. Complete online request form or call 877-223-5881 for all-inclusive price quote. You will have ONE POINTE of Contact for scheduling, set up, catering, contracting and billing. On-site support and snacks always included. Doing a large training rollout? ContactPointe can assist with venue selection and travel arrangements including hotel room block management, transportation and contract negotiations. Save time and money with our services. Fast and EASY classroom rental with all the technology you need at 8 Nevada locations. Every detail is ready when you arrive. Complete online request form or call 877-223-5881 for all-inclusive price quote. You will have ONE POINTE of Contact for scheduling, set up, catering, contracting and billing. On-site support and snacks always included. Doing a large TRAINING ROLLOUT? ContactPointe can assist with venue selection and travel arrangements including hotel room block management, transportation and contract negotiations. Save time and money with our services. Fast and EASY classroom rental with all the technology you need at our 9 New Jersey locations. Every detail is ready when you arrive. Complete online request form or call 877-223-5881 for all-inclusive price quote. You will have ONE POINTE of Contact for scheduling, set up, catering, contracting and billing. On-site support and snacks always included. Doing a large TRAINING ROLLOUT? ContactPointe can assist with venue selection and travel arrangements including hotel room block management, transportation and contract negotiations. Save time and money with our services. Fast and EASY classroom rental with all the technology you need at our 20 North Carolina locations. Every detail is ready when you arrive. Complete online request form or call 877-223-5881 for all-inclusive price quote. You will have ONE POINTE of Contact for scheduling, set up, catering, contracting and billing. On-site support and snacks always included. Doing a large training rollout? ContactPointe can assist with venue selection and travel arrangements including hotel room block management, transportation and contract negotiations. Save time and money with our services. Fast and EASY classroom rental with all the technology you need at our 29 Pennsylvania locations. Every detail is ready when you arrive. Complete online request form or call 877-223-5881 for all-inclusive price quote. You will have ONE POINTE of Contact for scheduling, set up, catering, contracting and billing. On-site support and snacks always included. Doing a large TRAINING ROLLOUT? ContactPointe can assist with venue selection and travel arrangements including hotel room block management, transportation and contract negotiations. Save time and money with our services. Fast and EASY classroom rental with all the technology you need at our 10 Tennessee locations. Every detail is ready when you arrive. Complete online request form or call 877-223-5881 for all-inclusive price quote. You will have ONE POINTE of Contact for scheduling, set up, catering, contracting and billing. On-site support and snacks always included. Doing a large TRAINING ROLLOUT? ContactPointe can assist with venue selection and travel arrangements including hotel room block management, transportation and contract negotiations. Save time and money with our services. Fast and EASY classroom rental with all the technology you need at our 21 Washington locations. Every detail is ready when you arrive. Complete online request form or call 877-223-5881 for all-inclusive price quote. You will have ONE POINTE of Contact for scheduling, set up, catering, contracting and billing. On-site support and snacks always included. Doing a large TRAINING ROLLOUT? ContactPointe can assist with venue selection and travel arrangements including hotel room block management, transportation and contract negotiations. Save time and money with our services. Fast and EASY classroom rental with all the technology you need at our 15 Georgia locations. Every detail is ready when you arrive. Complete online request form or call 877-223-5881 for all-inclusive price quote. You will have ONE POINTE of Contact for scheduling, set up, catering, contracting and billing. On-site support and snacks always included. Doing a large training rollout? ContactPointe can assist with venue selection and travel arrangements including hotel room block management, transportation and contract negotiations. Save time and money with our services. Fast and EASY classroom rental with all the technology you need at our 16 Indiana locations. Every detail is ready when you arrive. Complete online request form or call 877-223-5881 for all-inclusive price quote. You will have ONE POINTE of Contact for scheduling, set up, catering, contracting and billing. On-site support and snacks always included. Doing a large TRAINING ROLLOUT? ContactPointe can assist with venue selection and travel arrangements including hotel room block management, transportation and contract negotiations. Save time and money with our services. Fast and EASY classroom rental with all the technology you need at our 14 Missouri locations. Every detail is ready when you arrive. Complete online request form or call 877-223-5881 for all-inclusive price quote. You will have ONE POINTE of Contact for scheduling, set up, catering, contracting and billing. On-site support and snacks always included. Doing a large training rollout? ContactPointe can assist with venue selection and travel arrangements including hotel room block management, transportation and contract negotiations. Save time and money with our services. Fast and EASY classroom rental with all the technology you need at our 8 South Carolina locations. Every detail is ready when you arrive. Complete online request form or call 877-223-5881 for all-inclusive price quote. You will have ONE POINTE of Contact for scheduling, set up, catering, contracting and billing. On-site support and snacks always included. Doing a large TRAINING ROLLOUT? ContactPointe can assist with venue selection and travel arrangements including hotel room block management, transportation and contract negotiations. Save time and money with our services. Fast and EASY classroom rental with all the technology you need at our 27 Wisconsin locations. Every detail is ready when you arrive. Complete online request form or call 877-223-5881 for all-inclusive price quote. You will have ONE POINTE of Contact for scheduling, set up, catering, contracting and billing. On-site support and snacks always included. Doing a large TRAINING ROLLOUT? ContactPointe can assist with venue selection and travel arrangements including hotel room block management, transportation and contract negotiations. Save time and money with our services.